Long time no see – it’s been a few months. I decided to take an impromptu break from Happy Disco. Originally this was to write more for other projects of mine, but then my laptop broke and I’ve mostly been sitting around, not writing. That said, there’s nothing to break me from my writing rut like an idol concert, and what a concert! Last year I was lucky enough to see one of my top idol groups of all time, Momoiro Clover Z, at Anime Expo. To say I had a great time is understatement of the century. My post is here. The thing that stuck with me, that lasted, was the fact that seeing Momoiro Clover Z live felt more like a beginning than an ending, which is an odd feeling for seeing a group I had been a fan of for five years at that point. When I saw Morning Musume ’14 in New York in 2014, while I still follow the group, it felt like an ending, a culmination of years of being a fan. When I saw Momoiro Clover Z, I knew I wasn’t done with them yet. So, when Momoiro Clover Z announced they were coming back to the US for a three stop tour, I knew almost immediately I had to go. I picked New York as my stop of choice – while both Los Angeles and New York are about the same distance form where I live in the Midwest, I personally just like New York better and the concert on Saturday was a little easier for me. While I saw online that people were lining up as early as 8 PM the night before (a 24 hour wait for the concert), I was busy seeing another Broadway show at 8 PM (Natasha, Pierre and the Great Comet of 1812), so I ended up getting to the line at about 10:00 AM, about six and a half hours before the doors were set to open. Luckily, I was able to stand near some friends, old and new, people I’ve seen at various idol shows before, people I met in person for the first time but knew from Twitter, and people I met for the first time but hung out with in line. If you’re thinking about going to an idol show but are worried about the line being too long or boring, don’t worry at all – idol crowds are really fun groups of people to hang out with. In all the lining up and waiting I’ve done for my idol shows, I’ve always had a very good time. 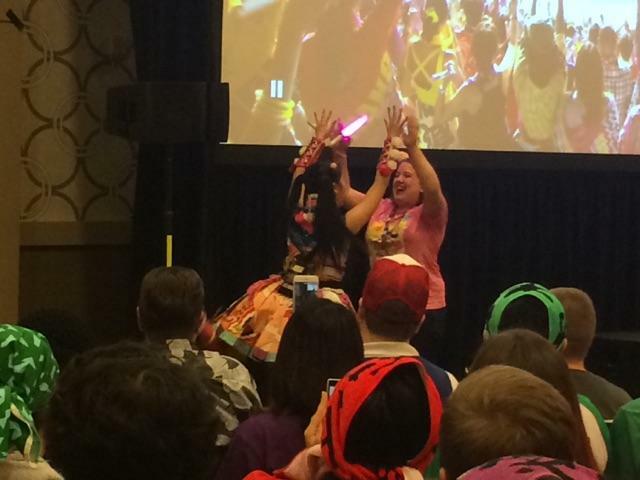 This year, Momoiro Clover Z fans outdid other crowds, I have to say. 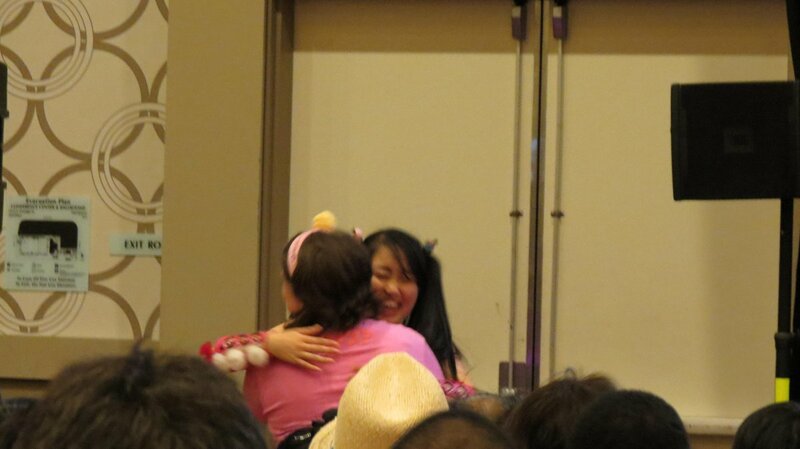 While all the idol fans I’ve met have been very nice, MomoClo fans were almost absurdly nice. There were multiple presents being made for the group (a banner with signatures on it and a small book with messages to individual members), everyone was sharing food, and everyone was passing around presents. American fans and Japanese fans gave me an almost absurd number of presents. One fan (another Aarin fan from Japan) gave me an Aarin towel. One fan (yet another Aarin fan!) remembered me from Anime Expo and gave me a Yuzuki towel – he remembered me and the fact I also liked Team Syachihoko’s Yuzuki. I was given photos, prints of illustrations, stickers, and it was almost overwhelming. Thank you to everyone who thought of me or gave me a present, or spoke to me while waiting for the show. I had an amazing time. I also spoke with　some fans before the concert started, and other fans helped me find a good spot to see. I am almost overwhelmed by how kind everyone was, and it made me very happy to go to this. The VIP event was split into two major parts – the first part was focusing on the history of the group, where they showed everyone pictures of the group when they were younger, and talking about the group when it first started. While a lot of this was pretty old knowledge, what made it fun was MomoClo commenting on it. They spoke so quickly that the translator could barely keep up, which meant I had to stretch my limited Japanese skills to understand. Then the group’s long-term manager, kwkm, picked a foreign fan from the crowd for each member of the group to get on stage and do the overture chants together. While I wasn’t chosen, all the foreign fans stood up front for this. It was a very sweet moment to see the members meet and be close to their fans. After this was the second big part, which was taking group photos. They got a group together of about 75-ish fans together to take the photo, getting everyone on stage. I was very lucky to manage to be in the front row, in the middle of Shiori and Reni, who immediately commented on my creampuff headband (member goods for Aarin). Aarin noticed me and reached over to give me a high five, which was really nice. Everyone did the MomoClo Z pose, and while we were walking out we got to walk over and say hi to the members. I thanked Aarin (my friend said it looked like she remembered me from last year, though I’m not sure if that’s the case!) and thanked the other members as well. ^ the photo with me in it! I’m right in between Shiori (yellow) and Reni (purple). As I mentioned before, fans were nice enough to help me get a good spot for the show, so I managed to get a spot front row and to the right, which is pretty unbelievable. This meant that I got to be very close to everything going on. The concert felt like MomoClo trying to bring the elements of their big shows from Japan to the US. While they can’t bring all of their setpieces, a full live band, a choir, or all of that, they brought two traditional Japanese dancers and a taiko drummer with them, who performed in between songs. The theme of the show was the four seasons, so all the songs were meant to fit somewhere in there. While most of the songs were a little vague as to how they it with the theme, they fit in the obvious choices, which were some of my favorites. The one two punch of Koko Natsu and Wani to Shampoo was particularly exciting for me – Koko Natsu has been a song I’ve loved for years, so that was very exciting for me. Wani to Shampoo has some really funny lyrics that still make me laugh years later, (“X+ Y=?” “CIA!”), so that was really fun. The two highest impact songs were, strangely enough, their Christmas song (Santa-san) and their latest single, The Golden History. Both were really fun to chant to, and were really high energy songs. I have to admit, I cheered VERY loudly when Santa-san came on. The fact that they did both Ikuze Kaitou Shoujo and Hashire made me very happy, as that’s the single that made me a fan of the group. The only issue I have with this setlist (and last year’s) was the fact that they tend to perform a LOT of anime songs – this year, even though they weren’t coming with a convention, they did both Moon Pride and Moonlight Densetsu as well as Z no Chikai and Cha-La Head-Cha-La (not to mention Nippon Egao Hyakkei). I like all of these songs just fine – I consider Nippon Egao Hyakkei to be one of my favorites. I just wish there was more variety – most MomoClo fans I know didn’t come to the group from anime, but are idol fans historically. I understand they don’t want to disappoint their American fans who might know them because of anime, but maybe just stick to Moon Pride and Z no Chikai. That said, the group performing Moonlight Densetsu dressed in Sailor Moon costumes was pretty fantastic. Overall, while I liked the show a lot last year, the atmosphere was totally different, seeing it surrounded by fans who knew the group rather than a lot of fans who were there because of the convention. The setlist was better, and had a lot of more obscure songs that I was really happy to see live. I wish there were a couple more songs from Amaranthus and Hakkin no Yoake (Mahalo Vacation is not enough!) but I was really glad to see so many album songs show up here. Seeing Ano Sora e Mukatte, one of their earliest songs, was incredible and emotional. The group mentioned that they plan on coming back on another tour, and I really hope they do – I know I’ll fly out to wherever they go in the US. Even though I’ve seen Momoiro Clover Z twice at this point, I’m not done yet! So, before this trip I wrote five posts about Momoiro Clover Z and their trajectory, how they kept growing and how my fandom wavered a bit. Well, my Momoiro Clover Z fandom is back in full force now, maybe even stronger than ever. Even though Momoiro Clover Z’s sales aren’t even close to groups like AKB48, there’s the reason they’re considered the top group in Japan – their live events are considered to be top notch. They regularly sell out the largest venues in Japan with ease, and so, before going to their performance in conjunction with Anime Expo, I knew that I would be in for a treat. Still, I don’t think I knew just how great of an experience I would have. 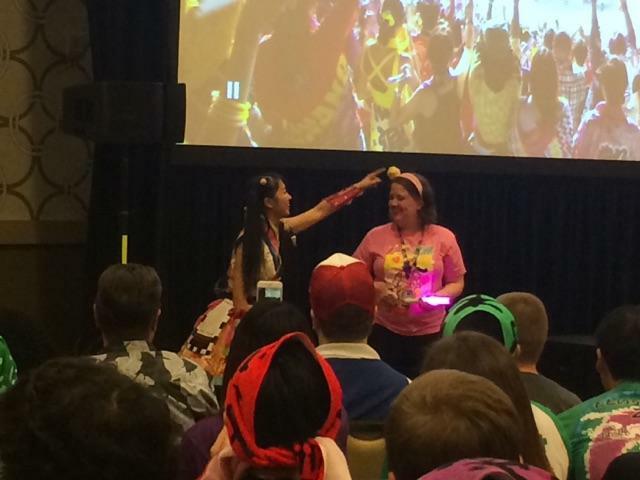 Momoiro Clover Z came to the US in conjunction with Anime Expo, the largest anime convention in the US and one of the largest conventions period in the US. It’s so big of a convention that they even have a “Day 0” for the convention in addition to the four day weekend, and that’s for attendees to pick up their badges for the convention (in previous years attendees had to stand in line for hours to get their badge, but this year it went much faster). To just about everyone’s surprise, there was a fan event announced about two days prior to the convention for Day 0 (which is apparently not something that happens), with the idea that it would teach American fans the fan calls and cheers for the concert while watching a concert DVD. However, just a day before the event it was announced that MomoClo would actually be at the event, so I knew I had to be there. After waiting a couple of hours in line (A bit unpleasant, since Anime Expo doesn’t really manage lines well), we went in and it was a fantastic event. While some of the concept of teaching fans fan calls and cheers was there, it really became more of a fan meet and greet type of event. MomoClo answered a lot of questions in a Q&A type format (with Sasaki Ayaka being the chattiest of the bunch), which was pretty entertaining. They then proceeded to show us clips from their Nissan Stadium live and have us go through it for the calls. I thought it was kind of funny, though, because they made sure we got the timing right for the jump in Wani to Shampoo and they didn’t perform that live, but they did perform songs that required more fan calls/cheers and dancing. I think ultimately the day 0 event ended up being less about teaching new fans and more of a fan event for existing fans. Which I don’t mind at all. My super exciting moment came later, though. At one point they were teaching fans the call and response introductions each member does. Below is a very old video showing this (circa 2010) but you get the idea. They had American fans come up (they specifically asked for non-Japanese fans to do this) and be quizzed on the intros. While I’m definitely not the type to jump up and do something, here I knew I had to. So when they got to my favorite member, Sasaki Ayaka (AKA A-rin) I shot up my hand. I was helped by a friend who was right in front who pointed directly at me, and by Takagi Reni who, after seeing my friend point at me, started to point at me as well (thanks Shioka and Reni, I appreciate it!) which meant A-rin ended up picking me to go up and do it. Which was insane and amazing. When I was up there she immediately gave me a big hug; getting a hug from one of my favorite idols has been a dream of mine for years, so this was insane. We then proceeded to do her introduction, which had been hyped as being the most difficult (I guess because you need to to know multiple Japanese words?). We did her intro together, she gave me high fives and told me she liked my headband (her 2012 birthday goods that a friend gave me, you know who you are and thank you SO much). (These and a few other photos courtesy of TheNumber244 whose blog you really should be reading if you aren’t already). The event continued and, when it ended, we were able to walk out ahead of the members and say thank you. It happened fast (there weren’t handshakes and they even had the people pushing you forward!) but it was still nice to say thank you to the girls. On the way to do that, however, I did see the manager known as kwkm who has become pretty legendary. I said hi and thank you to him by name, and I think he was kind of surprised. After the event, I got asked to film an interview about my experience at the day 0 event and why I liked idols. Not sure when/if that will come up, but I basically rambled so I hope I don’t look too bad. HOWEVER, at the end of the interview they asked me to do a pose or a dance move or something from something MomoClo. I was trying to think of what I could do and suddenly A-rin showed up next to the camera guy and interviewer (I was focusing on my interview and did not see her come up). I knew what I had to do so I did her catchphrase “A-rin da yo.” She then proceeded to jump in front of me in front of the camera and do “A-rin da yo” 5000 times better than I ever could, and then she gave me more high fives and such before leaving. Again, not sure if this is going to show up anywhere on video, but it might. After a day full of waiting to pick up my ticket for the show and picking up merch, the concert finally came and it was honestly amazing. 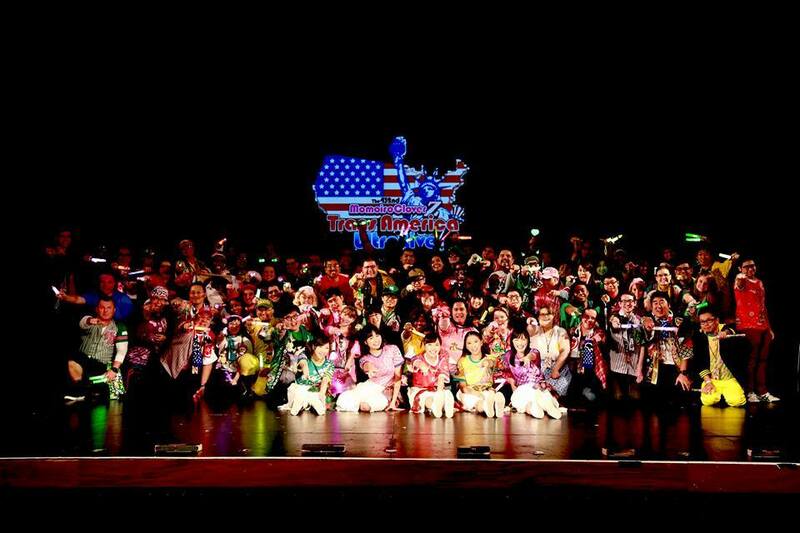 It’s easy to see why Momoiro Clover Z is the live event to see in Japan. (note that the concert ended at Ikuze! and they didn’t perform Chai Maxx twice, haha). While they performed mostly anime-related songs, as to be expected, there were still some surprises on the setlist. I wasn’t sure if they would do Nippon Egao Hyakkei, for example, and that was a real treat for me because it’s a particular favorite song of mine. Saraba was fantastic live, as was Mugen no Ai, as was Lost Child (I got serious chills during Lost Child). Really it was all fantastic live. Chai Maxx was a major surprise for me, and a very welcome one. It’s an older song and one that doesn’t have an anime-tie-in, but it was one of the biggest highlights of the show for me because the crowd always dances along. Chai Maxx was possibly the second most exciting song of the night, and was a ton of fun. The biggest highlight, though, was seeing Ikuze! Kaitou Shoujo performed live. This was the song that got me into Momoiro Clover and really helped expand my horizons as an idol fan and blogger. It is also, in my opinion, the single best idol song of the current idol boom, so I was absolutely thrilled to see it. It is a song that has a LOT of audience participation that I was excited to be a part of. Not going to lie, halfway through the song I had to start crying because it was such a moving experience for me, to see this song performed live. Ultimately though, Momoiro Clover Z is known as a group that excels at live performances for a reason. Even if this was a slightly watered down version of their concerts in Japan (a bit shorter, no major setpieces or staging) and even if there are still songs I want to see performed live, it was probably the best idol concert I’ve seen yet. As always, the few days I spent in Los Angeles were filled with meeting new people and seeing friends from previous live events. I’ve already gushed about this on Twitter, but a good part of the reason I keep flying out to idol events across the country from me is because there are so many good people in the idol fan community. Being able to spend several days hanging out with friends I’ve met online and at these events makes these trips worth it, in addition to the actual concerts and events. If you have the financial means to go to these events, I really urge you to make it happen. 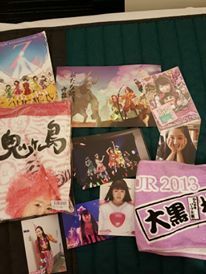 As a fan, this has spurred me on to continue going to these events, continue being a MomoClo / Stardust fan, and hopefully be able to make a trip to Japan happen in the near future. So hopefully you’ll be reading about me making that trip soon! 2011 was another big year; they released four fantastic singles (though Z Densetsu Owarinaki Kakumei and D’ no Junjou were pretty basic as far as singles go) and they put out their first album, the stellar Battle and Romance. While I’ve reviewed Battle and Romance before so I won’t do that again (it’s a phenomenal album, though), the biggest things that happened this year were the graduation of Hayami Akari and the rebranding of Momoiro Clover to Momoiro Clover Z. As a fairly early fan of MomoClo, the video where Akari talks about her plans for graduation honestly breaks my heart a little bit. While I’ve been a fan of Sasaki Ayaka from the start, I like all the members of Momoiro Clover a lot, so hearing Akari say that she doesn’t feel suited to be an idol hurts. She’s been relatively active post-MomoClo and has had a reasonably successful career, so I’ve been glad to see her doing well. Still, I just hope she’s been happy. The main thing that I think is interesting, though, is the rebranding from Momoiro Clover to Momoiro Clover Z. While Momoiro Clover gained traction as a group, Momoiro Clover Z is where they skyrocketed. So my question is – without this rebranding, would Momoiro Clover still be where it is today? It’s a really tough question. I want to say yes, but at the same time becoming Momoiro Clover Z is when they started to get more and more experimental and more out there with their music and presentation. I think it shows a great deal about how much Stardust focuses on the members, though; rather than continuing on without Akari, Momoiro Clover chose to change to Momoiro Clover Z, almost because there isn’t a Momoiro Clover without Hayami Akari. And while Battle and Romance features Z versions of all the songs (so you don’t get the Akari versions of Ikuze, Pinky Johns and Mirai Bowl) I think it’s a lovely way to show how the group valued Akari. Momoiro Clover Z doesn’t shy away from remembering Akari (their first Kouhaku Uta Gassen performance included Akari in the chant for Ikuze! Kaitou Shoujo). The rebranding did, however, allow them to adopt a more super sentai image (rather than the lingering traditional Japan image) which I think suits their current music and style. Even when their current music doesn’t focus on sentai heroics, it still fits MomoClo Z as a group. Even though I was unsure of the rebranding at the time, and kind of went back and forth as to whether I even liked “Momoiro Clover Z” as a name, I think it’s served them really well and was ultimately a good call on management’s part. 2010 was a big year with a lot going on for MomoClo. Well, to be honest, the same could be said for almost every MomoClo year, but 2010 was the year that put them on the idol map, I’d say. The biggest thing was that this was the year that MomoClo went major, with the release of Ikuze! Kaitou Shoujo. Honestly, my praise of Ikuze Kaitou Shoujo knows no bounds. As an idol song, it’s just about perfect, to the point that I would possibly name it the best idol song of the current era of idols. It’s energetic, paced perfectly and has just enough interesting sections. It’s incredibly fun to watch performed live (it’s the song I’m REALLY hoping for the AX performance). Maeyamada Kenichi is the master of creating catchy, memorable idol songs, and Ikuze is one of his best songs. Additionally, the PV is pretty fantastic too; it’s another instance of using what limited resources they have to create something special, using spotlights and a few extra costumes to make something memorable. (That said, the choreographed fight scene is always delightful). Everything in Ikuze is perfect, and it’s no wonder that it’s become Momoiro Clover Z’s most memorable song, despite having more ambitious pieces later on. However, while the release of Ikuze is personally what caught my interest, what solidified MomoClo as my favorite idol group at the time and what I think lead them to make such a splash in the idol scene was MomoClo’s live performances. While Momoiro Clover’s sales are marginal compared to those of, say, AKB48, they have always excelled in live performances. The six of them have always managed to fill a stage and put on an exhilarating performance, which is part of why I immediately knew that I would have to go see them when they came to LA. The big performance that I think garnered some serious buzz for MomoClo was from the 2010 Music Japan female idol special. This show featured some of the biggest names in the idol world – AKB48, Morning Musume, Idoling. Momoiro Clover was grouped off with Tokyo Girls Style and S/Mileage as newer acts. While both of those acts did just fine, Ikuze Kaitou Shoujo was a powerhouse performance, with tons of energy, real dance skill, acrobatics and the television debut of Kanako’s Ebi Jump. While MomoClo always performs well, this performance of Ikuze has stood out for me over the years as being a major stand out performance. While I have no real proof of this, I really do think that this TV performance was part of the start of MomoClo’s rise to fame. The group did have a couple of hiccups this year; they dealt with controversy with the infamous weigh-in event, where all the members had to be under a certain weight… and Reni didn’t make it. MomoClo ended up switching labels to King Records, and took quite a bit of time to get to their next single, Pinky Johns (yes, it’s not Jones. I’m still shocked it’s Johns and not Jones). However, Pinky Johns ended up being an excellent song with an even better B-Side (Coco*Natsu) and ended up keeping up MomoClo’s momentum nicely. However, Ikuze Kaitou Shoujo remains MomoClo’s biggest success of 2010, and I think that without a song like that they might have never achieved the amount of fame they have gotten now. 2009 was the year that both of Momoiro Clover’s indie singles, Momoiro Punch and Mirai e Susume came out, and I really think that they are the best example of how far Momoiro Clover has come. However, it’s not the singles themselves that show it (though they do show their age), but the videos that came from Momoiro Clover events around the time of the single releases, where management tells Momoiro Clover the oricon rankings for these singles. If you like Momoiro Clover and you haven’t seen these videos, you owe yourself to watch them. Now, these videos mean a lot to me – they were two of the first videos I watched when I became a MomoClo fan a year later in 2010 (they also were really the first ways I learned more about the personalities of MomoClo). But I think they show just how far MomoClo has come – starting from tiny street lives and freaking out at peaking at #11 on the Oricon daily chart, to performing in the largest stadiums and arenas in Japan. These girls have come a long way, and it’s incredibly exciting to see them thrive. As for these songs and PVs, I think they do an excellent job of setting up MomoClo as a group. While Ikuze Kaitou Shoujo grabbed my attention in 2010, Momoiro Punch and Mirai e Susume solidified for me what a special group Momoiro Clover really was (and still is). For Momoiro Punch, the song is pretty perfect for an intro song for an idol group, and does a lot to introduce Momoiro Clover specifically. It’s just about a perfect mix of idol pop with some traditional sounding instrumentation. In a way, it’s a great thesis statement for what MomoClo was at the time – idol pop meets traditional Japan, but in a totally accessible way. The song is perfectly paced, as well; it rarely drags (apart from the overly long intro section) and it moves along nicely. It’s a really great intro son gin that regard; it’s catchy, fun, and says what MomoClo intended to do (idol meets traditional). As great as the song is, the PV is an incredible introduction to the group. While the intro of the song might be long-winded to listen to, it allows for the PV to take a nice amount of time introducing each member without breaking up the song to do so. It also takes time to show some behind the scenes shots, showing the members working together, practicing, and spending time together (something pretty much all idol fans enjoy seeing). The rest of the PV is very simple, but it uses what it has in a way that not all simple PVs do. There is always something visually interesting going on – different shots, new (simple) visual effects, etc. While I think most of this PV is very well done, what I think is really brilliant is the use of the different takes with peaches and bananas replacing microphones. They start this late in the PV, when you might be relaxing into the rhythm of PV. Then, all of a sudden, you see they’re holding peaches, but it only lasts for a shot or two before going away. These shots are never dwelled on, but pop up infrequently. Additionally, the editing is so good that the shots match up very well, to the point where you might not realize that it’s a different take. This makes a bit of a visual illusion, like peaches and bananas are appearing and disappearing. This makes you want to pause and look again or, ideally, rewatch the PV. That’s the genius of it, really – Momoiro Punch’s PV is almost entirely engineered to make you pay attention all the way through and perhaps watch more of it more closely. All this for a fairly basic PV. Mirai e Susume’s song is a bit less immediately intriguing than Momoiro Punch’s, but it’s still a very solid idol song. It’s transitioning a bit more to the idol image than Momoiro Punch, but still retains a bit of traditional sound in the instrumentation. It’s hard to really say much other than it’s just a fun, high-energy idol song. The verses allow for more variety in small-groups as well as allowing for four members to get a solo line. It’s hard to give Mirai e Susume a lot of credit, given that it’s sandwiched between Momoiro Punch and Ikuze Kaitou Shoujo, but it’s all the same a solid idol song. PV wise, Mirai e Susume is what I like to call “Personality: the PV,” in that it really lets MomoClo’s personality speak for itself. While you might wonder if this is an excuse for a super low-budget PV, I think it speaks to how much energy and personality MomoClo has. This PV is carried on the strength of the members of the group; if MomoClo was any less compelling, this would fall flat. That could be said about a lot of idol PVs, but man I have watched this PV a LOT because the members of MomoClo are just so much fun to watch here; seriously, what is Reni even doing? There isn’t a lot visually beyond that, but I do like the contrast between costumes and scenes. Half of the PV is on a white background with bright, colored costumes, and the other is with plain school uniforms on bright colored backgrounds. It adds a nice visual contrast. Also, while Momoiro Clover can’t claim to have come up with the concept of member/image colors (I know Morning Musume has been doing that for a while), they certainly drive it home. A lot of Stardust PVs and costumes rely heavily on the color-coding in a way that has become pretty common-place in recent years. And for good reason – it’s a very easy way to follow members. It’s super easy to go “I like the pink member of the group” after watching a PV and go look her up by the color later. It’s an easy way to follow a specific member when you start following a group. Again, while MomoClo didn’t invent image colors, they certainly have utilized them well. MomoClo’s early singles, while unpolished and simple, are honestly really great, and I personally think it’s super easy to see why they’ve had so much success. Both PVs and songs ooze with personality, and are ultimately a ton of fun. In just about a week I will have the pleasure of seeing Momoiro Clover Z live at the Microsoft (previously Nokia) Theater in Los Angeles. I will be flying out for all of Anime Expo (Wednesday through Sunday) so if you happen to be going as well, please say hi! While waiting for the concert I’ll be wearing a pink A~rin Robo shirt as well as an A~rin creampuff headband, as well as a purple Team Syachihoko muffler towel. Since it’s a week before I see Momoiro Clover for the first time, I thought it would be fun to do a week of posts about Momoiro Clover Z. After mentioning this on twitter, I was reminded by fellow-blogger Garry (who, among other things, writes the stellar This Week in Music on New School Kaidan) that Momoiro Clover Z has been around in one form or another for about seven years. So I’m going to try and roughly base these seven posts around the seven years of Momoiro Clover Z. I’m not entirely sure what I’ll make of this week of posts, but it will be a nice way to focus some of my thoughts as I think of a week from now. I think the origin of a lot of idol groups is interesting, but Momoiro Clover had a pretty interesting start. Formed in 2008, I’m not sure that anyone involved knew how big they were going to be. They performed in Yoyogi Park and other VERY small street lives; MomoClo moved up int he world from being a very tiny indie act. Watching early, 2008 era MomoClo videos is kind of interesting, because they are so not the Momoiro Clover Z we know today. Before settling on a fairly stable lineup of girls in 2009 (with only one addition, Momoka, and one graduation, Akari), Momoiro Clover had different members moving in and out of the group. Another thing that’s completely different was the image and theme of the group – Momoiro Clover Z originally performed in outfits inspired by traditional Japanese yukata and kimono, and they have that influence in the group’s sound, as well. Even up through Ikuze Kaitou Shoujo the group wore modified yukata for many performances. Honestly, while I think the group has thrived after abandoning that, I do think it’s a shame that they no longer have that kind of an image because I personally really liked it. The other thing that has changed is their interaction with fans. Early Momoiro Clover used the slogan “idols you can meet right now,” a take on AKB48’s “Idols you can meet.” However, they’ve pretty much stopped any and all fan meet events and have for some time, and AKB48 has become much easier to meet. It makes sense; Momoiro Clover Z is so immensely popular that even coming close to meeting all their fans would take up way too much time and effort. But it does show how much things have changed for the group. Thinking about my origins with Momoiro Clover, it did not start in 2008 (a year where I had no idea they existed and instead focused much more on Hello!Project); it started in 2010 with the release of Ikuze! Kaitou Shoujo. It was a song and PV I found exhilarating, and it’s still a song I hold up as being one of the best idol songs of the current idol boom. While I had liked idols for some time at that point, I credit Momoiro Clover with being the group to help me break out of my Hello!Project shell. While I was a pretty casual 48 group fan at the time (AKB48’s River came out and blew me away in fall 2009), Momoiro Clover hit me in a big way. It lead me to explore lesser known idols and indie groups in a way I hadn’t before they showed up. They were my favorite idol group from 2010 – 2012 (when a certain sister group of MomoClo caught my attention), and for that I will always carry a lot of affection for Momoiro Clover. Momoiro Clover was also the origin of Stardust Promotions as a major idol group power, which lead to the formation of 3B Junior groups like Shiritsu Ebisu Chuugaku, Team Syachihoko (my favorite idol group), Takoyaki Rainbow and others that are just starting to debut. All of these groups have a lot of great music and great creativity which has influenced the idol industry in really positive ways. Momoiro Clover has done a whole lot in the seven years it’s been around, and has had a huge influence on the idol industry in Japan. Further, the group has had a tremendous impact on me as an idol fan and enthusiast, in the roughly seven-eight years I’ve been an idol fan. Like many foreign fans of Japanese media, I was thrilled to see the return of Sailor Moon in the form of Sailor Moon Crystal. Another thing that thrilled me was that Japanese idol group Momoiro Clover Z was performing the opening and ending themes. However, while I’m primarily an idol fan first and a Sailor Moon fan second, I understand many people may not know who MomoClo is. So here’s a brief introduction on who the group is. What are idols? While the definition of idols can vary dramatically, the word is generally used to refer to female performers in their teens and early twenties, who perform pop music. There are many idols that don’t fall into this category at all, and there are many artists that fit that definition but aren’t considered idols. It’s also a trend that’s swept Japan in recent years; there are hundreds of idol groups in Japan, and many chart toppers are idol groups like AKB48 and Momoiro Clover Z. Beginnings: Momoiro Clover Z started out as Momoiro Clover (commonly referred to as MomoClo). They were formed as the idol group from Stardust Promotions, a talent agency. The group started out performing street performances in 2008, and had many members join and leave the group during that time. They finalized a line-up and put out their first indie single in 2009, with members Takagi Reni, Momota Kanako, Sasaki Ayaka, Tamai Shiori and Hayami Akari (Ariyasu Momoka would join just after their first single). Their early singles had a traditional Japanese theme, and they wore modified yukata for their first two indies singles and their first major single. They branded themselves as “shuumatsu heroines (weekend heroines)” as they performed on weekends while they went to school during the week. They also called themselves “Idols you can meet right now,” as a way to compete with AKB48, who were known as “Idols you can meet” (since AKB48 were becoming popular at the time). In 2010, Momoiro Clover made their major label debut with Universal Records, with Ikuze! Kaitou Shoujo. This is noticeable for Sailor Moon fans, as it’s really the first single to start experimenting with their sentai image that they would adopt more later. With lyrics about them transforming and a music video where they beat up bad guys, their road to Sailor Moon is pretty clear. After Ikuze! they moved to King Records, and put out two more singles. In early 2011, fans were disappointed to find out that Hayami Akari intended to leave the group, to pursue a career in acting. While members leaving groups is commonplace in the idol world, MomoClo decided to honor Akari by renaming the group, Momoiro Clover Z. They put out their first album, Battle and Romance, and two singles. One of these singles is Z Densetsu ~Owaranaki Kakumei~. This single is the first real exploration of the sentai theme that they adopted with Momoiro Clover Z as a name. MomoClo has been immensely successful. They have performed at the largest venues in Japan; in fact, they performed at the National Olympic Stadium and became the first female idol act to do so. Their biggest goal was to appear on Kouhaku Uta Gassen, which is a big end of the year broadcast that showcases the biggest names in music in Japan. They have performed on the program twice now. It’s hard to say where MomoClo can go from here; they have performed at the biggest arenas, have put out more singles and more albums, and are generally regarded as one of the top idol groups in Japan right now. That said, they have been active for several years now, and it looks like they are, at least for the forseeable future, here to stay. There are five members in Momoiro Clover Z right now. Momota Kanako – the current leader of. Her image color is red. One of the ways she gained notice early on was through her jump near the end of Ikuze! Kaitou Shoujo. Takagi Reni – the former leader of the group. She’s kind of an oddball, and in the past was a bit of a crybaby. She’s the oldest member in the group. Her image color is purple. 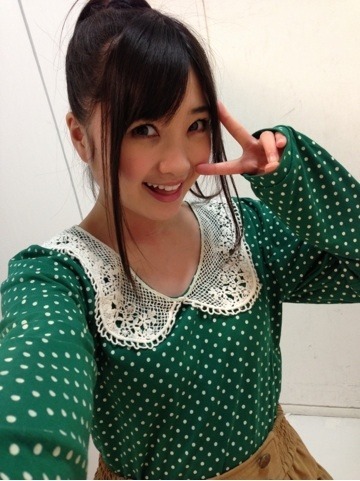 Ariyasu Momoka – Generally prides herself on her singing and dancing, Momoka is the shortest member as well. Her image color is green. Mononofu – A MomoClo fan. Oshimen – the member you support (i.e “A~rin is my oshimen”). Can be shortened to oshi, and used in reference to oneself (i.e. “I’m A~rin oshi”). wota – An idol fan; shortened version of “otaku” so it’s usually used for intense idol fans! wotagei – movements/fan calls that people do. Usually the fan cheers are more important during a concert! kwkm – MomoClo’s manager. They make jokes on his behalf. Hyadain, Narasaki – two of MomoClo’s most well-known songwriters. They haven’t written as much for the group lately. 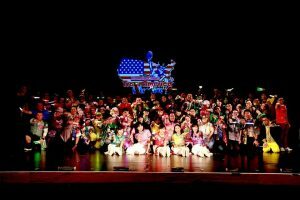 Shiritsu Ebisu Chuugaku, Team Syachihoko, Takoyaki Rainbow – Momoiro Clover Z’s “little sister groups”. 3B Junior – the idol arm of Stardust that has both MomoClo and its sister groups. If you have any questions at all, feel free to ask away! This is a very basic intro, but I hope it’s helpful to new MomoClo fans! I was wondering what to do with the Review Monday segment this week, when I saw the PV release for Momoiro Clover Z’s single “GOUNN.” Since this is actually the first single from MomoClo this year, it’s a very highly anticipated single and music video that’s been hyped up for quite some time. 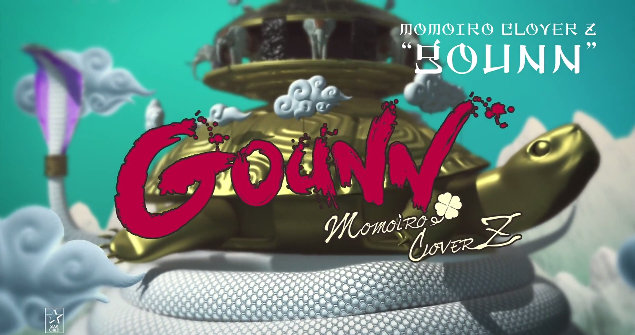 The Song: I’ve made it no secret that Momoiro Clover’s music has had its ups and downs for me. While a lot of their older music is some of my favorite idol music, their current music has been a mixed bag for me. However, this is the strongest MomoClo has been musically in a while, aside from some of the better tracks on 5th Dimension. The song itself is quite good, and memorable. The song was written by Shihori, a Japanese singer songwriter who I do not believe has written for any idol acts. I have to believe that, after GOUNN, idol acts are going to be knocking on her door, because this is wonderful. I don’t know if I fully appreciated the song during my first listen, but it is an earworm after a good few listens. The girls in Momoiro Clover Z sound great, too, and while a large part of that is undoubtedly due to practice and good vocal direction, the song fits their vocals well. Kanako in particular sounds really nice, especially for being a fairly weak singer. 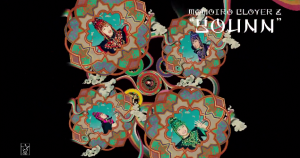 For this single, MomoClo were going for a “Buddhism” theme (something I’ll delve into a bit later), and while it would be easy to go full stereotype, Shihori gets a bit of that kind of flavor into the song without making it sound like it’s from a bad stereotype of Indian people. Probably my biggest rant about Momoiro Clover Z was my reaction to Otome Sensou. It was the first MomoClo single I genuinely did not like, and while parts of that song have since grown on me, I still have a lot of complaints. One of these complaints is that the arrangement was weak. This song completely avoids that. The instrumentation is lush and full, fitting the song, but never really feeling busy. The slow moments, featuring piano, are lovely, and I love pretty much all the bass lines thrown in there. There’s a bit that sounds like an electric sitar, but don’t hold me to that. But it sounds really nice, and fits with the song without making it sound stereotype-y. Most importantly, the song just works. There are wonderful individual elements, but they all work nicely together. Otome Sensou is a song where I can see how I would want to change the song. While there are other songs I like better this year, this is the best GOUNN that they could possibly make. So I’m very happy for MomoClo. 8/10. PV: OK, I’m going to get this out of the way, since I’ve been working on putting this in words for a while, and doing some research. I’m not quite sure how I feel about this PV, cultural sensitivity wise. First off, I’m going to have a disclaimer: I am not an expert in Buddhism, Hinduism, Shinto, or any religion that isn’t Judeo-Christian or Greek/Roman mythology. So I’m not making any conclusions about this PV. If anyone is particularly versed in Buddhism (particularly Mahayana, which is what is mostly practiced in Japan), Hinduism or Shinto, please feel free to comment. That said, I did have initial misgivings, especially due to the costumes. Even if everything is completely accurate or is as close to accurate as possible, it is still taking aesthetics from popular belief systems that people do think should be handled with weight. The idea that this kind of aesthetic, taken from these religions/belief systems, is somehow used as MomoClo’s new PV aeshetic bothered me. I don’t practice these religions, and I know that Japan isn’t a very religious nation itself, but it’s an issue of respect. This is also added to the unfortunate fact that MomoClo doesn’t have the best track record for cultural sensitivity in their music videos. That said, I am a bit confused with the religion portrayed in the PV. 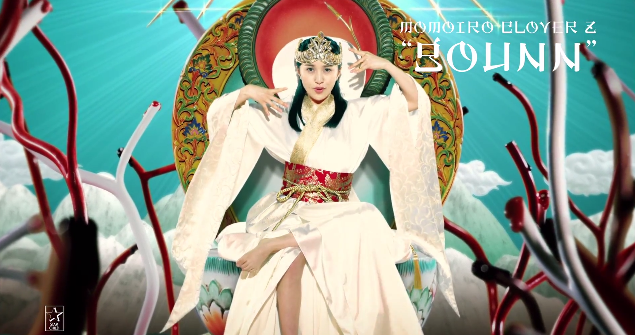 MomoClo has called it “Buddhism-themed,” which would make sense. Buddhism spread to Japan, and is one of the more significant religions in Japanese history. However, certain things made me suspect that this wasn’t as accurate to Buddhism as it could be. This depicts a turtle on top of a serpent, with elephants on top of it. This is a big part of Hindu mythology, in which the Earth is balanced on top of elephants balanced on a turtle balanced on a serpent. This is a fairly well-known aspect of that religion. However, I was unable to find any references of this myth in relation to Buddhism. Buddhism is a system of beliefs that is sometimes debated on whether or not it’s a religion, primarily because worship of deities isn’t a major part of said religion. Enlightenment is the primary goal of Buddhism, not closeness to a god or gods. That said, worship of deities does occur in Mahayana Buddhism, which is what spread to Japan. I’ve been trying to look up who each member was supposed to be. I believe Kanako is approximating the Medicine Buddha, but I’m not sure. The costumes are the last thing that make me wait and consider. They look to be more approximations of Shinto goddesses rather than anything else. Which adds to the whole giant mixed up PV this is. Like I said earlier, I don’t want to make any conclusions. 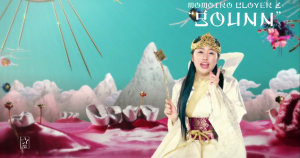 I don’t think MomoClo are trying to do something bad, and I’m not even sure if I think this is all that bad. BUT It does make me sit up and wonder. If you or someone you know is an expert in this field, I’d like to hear from you. All of that aside, I really like this PV a lot. THIS is how you do a highly visual effects driven PV. None of the effects look cheap or goofy at all; instead, they work to create a very visually pleasing PV that looks incredible. MomoClo has all been lit well and shot well, so the effects work well to create a visually stunning PV. This is possibly the best looking PV that I’ve ever seen done primarily using visual effects. The sections where it’s just MomoClo in these circles, adding to visual patterns. It looks great, and is a bit of a gutsy move, just based on being able to show very small pictures of the girls to go along with the visuals. Some people may be taken aback by how unusual this PV is, which is a big part of why I want to figure out more of the religious backing to the PV. For example, Ayaka here is sitting on a tongue, surrounded by teeth, holding a toothbrush. Kanako is holding a syringe and surrounded by blood. Reni is sitting on and surrounded by hair. The PV is so beautiful, though, that it’s hard to catch until someone goes “oh my god that’s teeth in the background” (which is admittedly what happened to me, when someone pointed that in a Facebook group I frequent). The editing, while good, isn’t perfect. There are points where it feels too fast and frantic; more than once it edits exactly on the sung syllables (when Ayaka sings “ka-ru-ma,” there’s an edit on each one of those syllables). However, this is a small complaint. I do wish that the girls were doing a bit more. They take part in the dance shot, they appear in the visuals I showed above, but for the most part they’re just sitting in their location. This is fine, and I’d imagine things were limited by the visual effects. However, that is a bit of a disappointment. Ultimately, though, this is a visually stunning PV, and while I was taken aback by some of the PV’s content, that doesn’t change that this a well put together PV. 8/10. It’s hard to believe 2013 is about halfway over! And so, it’s a good time to look back on the year in idol music, as well as pick some of my favorite songs of the year. The idol boom has been going on since late 2009/early 2010, and I keep expecting idol groups to suddenly start disbanding or fade into obscurity. However, things are going better than ever, all things considered. AKB48 broke records and sold massive amounts with Sayonara Crawl, Momoiro Clover Z keeps climbing up, and even Hello!Project groups are doing very well. Indie groups are growing more popular, and gaining traction. Groups are becoming diverse, with alternative acts like BiS, Alice Project and Babymetal growing in popularity. Honestly, I can’t think of a better time to be an idol fan, based almost entirely on how many groups there are out there. There are a lot of groups I’m not even putting on this list but are really good groups. And so, my top 15 songs of the first half of 2013. Note that this is just songs that have been on a release through the end of June; Koisuru Fortune Cookie’s going to end up pretty high on my full list of the year. Honorable mention goes to Oomori Seiko’s Mahou ga Tsukaenai; not quite sure I’d classify her as an idol, but I love this song to pieces. Can I put a song on this list for one sentence? If so, that sentence is “just listen to that saxophone!” Because seriously, I love every second that a saxophone plays in this song. In all honestly, I wasn’t sure about how I’d feel about Juice=Juice. I didn’t follow any of the Eggs/Kenshuusei that made the group, and I hadn’t seen the hype about Karin. I thought (and still do) the name was silly to a fault. The early pictures had all the girls in white and it looked kind of boring. And while I’m not quite sure if I’ll ever be a super fan of Juice=Juice, I am a huge fan of Watashi ga Iu Mae ni Dakishimenakya. While I was just being silly with what I was saying about the saxophone, that’s actually pretty close. The sound’s so unique, and I can’t think of another idol song like it. Underneath, Watashi ga Iu Mae ni Dakishimenakya isn’t that unique of a song. It reminds me strangely of Melon Kinenbi’s Amai Anata no Aji but sped up. The structure feels kind of similar, as does the tune (though I definitely don’t mind H!P bringing back Melon Kinenbi songs). I don’t think Juice=Juice is anything like Melon Kinenbi, mind you, but the overall song isn’t completely new. However, the entire thing put together with the saxophone arrangement, it feels fresh and interesting. So yes this song is pretty much on my list because of the sax. As I’ll be writing a bit more about later, I love songs where there’s a lot of genre fusion. While I like standard idol pop songs, there’s something really interesting about putting together genres like that. Kawasaki Junjou Komachi is a group you probably haven’t heard of, unless you follow Tokyo Idol Festival and/or read my TIF posts religiously. But I found them from doing my TIF research posts, and was initially unimpressed by their concept of promoting Kawasaki, mostly because another group I wrote about had a very similar concept. However, Kawasaki Junjou Komachi really shines with their music and performances, the music being a really excellent fusion of traditional sounds with a modern pop sensibility, complete with a rap section. I don’t know Japanese instruments enough to tell, but it sounds like they’re using a lot of traditional instruments in there. In addition, it’s really catchy and fun to listen to and the vocals are really mature and lovely. I think another reason I’m so impressed by Kawasaki Junjou Ondo is just how good it is for a local indie group. Lots of great music comes from indie idols, and I don’t want to put down indie idols. However, this is the type of song I would be very impressed if I heard it from a big, major label act. If KJK is able to continue this really great mix of traditional and pop and have this general level of quality, I predict they could grow and grow in popularity. Late last year and early this year was when I first started to like Morning Musume again. I became a fan of Ishida Ayumi, I started liking (but not necessarily loving) the music, the other new members grew on me. I didn’t like the Help Me! PV, and the song was good, but I didn’t quite love it. However, because of Ayumi, I decided to listen to and watch Brainstorming as soon as I could. And I couldn’t get enough of it. I think the biggest strength of Brainstorming is how fired up it works to get you. The instrumental works together with the vocals very well to make sure that there’s always something going on. Even in the slower solos (i.e. the solos Sakura does), there’s stuff going in the background. While Morning Musume has used dubstep influenced sound in Renai Hunter, and I really enjoy that song a lot, here the sound feels really integrated. While I’m one of those people that misses old school Morning Musume a lot, really one of the strengths is in the arrangement. One of the biggest thing that makes me dislike a song is when the instrumental falls flat, and feels empty. Here, that’s not a problem, with so much going on in the back. However, nothing feels extraneous. There’s a lot going on throughout the song, but it feels warranted. It’s also a great song for the group; it features a lot of the members doing shorter solos and mixed group bits. I don’t want to be one of those foreign fans who always complains about the line distribution, but varied groups like Morning Musume work at their best when everyone gets at least a little to do. Brainstorming really utilizes the members in a really great way. Ultimately, this song is what brought me back and got me really excited about Morning Musume again. I actually preordered the single, because this is just that good. When I first heard there was going to be a unit of the members who scored low on the Mechaike special, I didn’t know what to expect. I thought it would be something silly and not quite serious. And there are slightly silly parts. However, it’s a pretty standard mid-tempo song with a good deal of guitar and piano in there. A really good standard song, mind you. Listening to the song and knowing the lyrics, though, it feels right that this is the BKA48 song; it’s silly, but it’s about being happy even if you aren’t necessarily smart. The thing that interests me is just how strangely epic the chorus feels. Perhaps it’s the lyrics mixed with the song, but it feels like it should be the theme song to the anime/drama about Kawaei Rina. Which I would definitely watch, by the way. Honestly, this song isn’t necessarily the most interesting song on this list. But it’s solid, has a catchy melody, and I really love the lyrics. Especially the line that actually mentions Haste to Waste, taken word for word from the Mechaike special. When most people got interested in the new Rhymeberry single, they really liked the song R.O.D.. Nothing wrong with that, it’s a great song. However, I was really taken by Sekaichuu ni I Love You, just because of how different it is. It’s 30s era swing/jazz (not sure if this is sampling or not) mixed with rap. I’ve never heard something like this before, and if you know of any other songs even remotely similar please tell me. I think I mostly like this because it’s such an experiment. It’s fresh, new, and something I personally have never heard before, which is really rare for music. I think every time I talk about Idoling!!! I mention that I want to follow them more. Which still stands. I think they’re a really solid, interesting idol group with some great music, but I just don’t follow them. I heard about Yokoyama Rurika getting a solo single, but I didn’t need to read it. One thing changed my mind. Hyadain. When I heard that this was a new Hyadain song and that it was good, I raced out to listen to it. And oh yes, it is good. The thing about this song is that it really works because of Rurika’s really strong vocals. From what I’ve heard Hyadain really wrote a song for her strong voice, and you can hear it. Hyadain, like always, writes a really strong melody, but here it fits Rurika perfectly, and her strong voice compliments the strong instrumental, or rather the instruments compliment her. This isn’t a very subtle song; this is something that’s meant to be belted out. That’s why Rurika’s voice fits it perfectly. Steve from Selective Hearing wrote a very good analysis of Walk My Way here, and I suggest you all read it because I’m not going to write something this great about the song. One thing I can say is that, as a Hyadain fan, I love almost everything he does. His music really fits my tastes. However, since he writes almost exclusively for idol acts, I rarely get to hear music by him from an artist with a voice as strong as Rurika’s. So this song is really a treat for me, and I know it’s something I’ll listen to quite a bit. If you haven’t noticed, I really love Team Syachihoko. I wanted to put all four songs from their latest single on here, but I was able to narrow it down so that I’d have a more varied list (though another one of theirs is coming up). One of the things I really like about Stardust groups is just how energetic their songs are, but that’s a bit of a curse as well; there aren’t many Stardust group songs I’ll break down crying while listening to, whereas I’ve cried at many AKB48 songs. And while I don’t think Syachi is going to move into serious ballads any time soon, I have to say I love their first song that seems a bit more serious, which is Maji Kansha. I’m a sucker for strings and idol music; it’s actually something you could probably notice in this list. So when I first heard the swell of strings of Maji Kansha during a livestream of a Team Syachihoko event, I was hooked. The thing about Team Syachihoko is that if you’re looking for a polished performance with strong vocals, you’d best look elsewhere. However, the thing that I personally love about Syachihoko, that you can definitely hear in this song, is that they really work hard and push themselves. Their voices might not be strong enough to carry a song like this, but they give it their all. It’s a really lovely song in general, and one I think could become a favorite to perform at Syachi concerts. It’s definitely the most normal Syachihoko song, but that, in itself, makes it the most usual. In a really good way. The easiest way to describe NMB’s summer singles is in comparison to other 48 groups. Whereas Nagiichi was much like songs like Ponytail to Shushu; happy and upbeat, Bokura no Eureka feels a lot more like Manatsu no Sounds Good. It’s a bit darker, more serious in tone, but still retaining a summer feel to it. Bokura no Eureka is a bit slower, very strings heavy (yes I do love that), and it just works. NMB has had more mature sounding songs before (i.e. Virginity), but I didn’t really expect this song when I saw that it was an NMB48 summer song. Perhaps it’s the fact that it’s so unexpected that makes me love it so much. It allows for something like their full PV, where the NMB girls are on a deserted island; even though it’s a summer song, and has fairly typical lyrics, it has a lot more emotion to it. It’s a bit darker, slower and more serious than I expected from this track, and I have to say I love it. Babymetal keeps surprising me and taking themselves to new levels. Every time I hear a new Babymetal song it’s exciting, because I never know what it’s going to be like. Megitsune is a new direction for Babymetal, now incorporating traditional instruments and themes into their metal/idol pop hybrid. It completely works. It’s still one of the most ‘metal’ songs Babymetal has put out (though perhaps not as metal as Ijime Dame Zettai), utilizing Suzuka’s strong vocals and a lot of drums. It’s kind of amazing, really, that all these elements work so well together. I’m constantly impressed by how innovative Babymetal’s music can be, in incorporating Suzuka’s voice, Yui and Moa’s shouting, the metal sound, while still being accessible to people who may not necessarily enjoy metal music. I know I never really listened to metal before Babymetal. And perhaps I wouldn’t be so fond of this if I was a metal afficionado. However, Babymetal does a really great job of creating accessible music for everyone that blurs the lines of genre in a really fantastic way. 2013 is shaping up to be the year of Dempa for me; I’ve known about them for a while, but I really got into them this year. Den Den Passion does one of the things I wish more idol groups did, and really plays off the fact that this is a group effort. Especially in the chorus, there’s a lot of vocal overlap, which fits really well. I really like what they did with the vocals in this single; the voices in the chorus often sound almost vocaloid-esque, or a high-pitched Perfume, but in a way that really fits Dempagumi.inc. That’s the thing that I really love about this single. Everything about it fits dempa’s identity as a group, which, as a fan of the group, is something I love. The quick pace, the high pitched vocals, the focus on the group, the entire song feels very dempagumi. Even the rap section really fits the song (perhaps it’s the edited vocals in that section). Sometimes when writing reviews for this blog, as an exercise, I try to imagine another group tackling a song. This is a song that I can’t imagine anyone other than dempagumi doing. It’s frenzied, energetic, and fun. While another song on this list convinced me to start following demmpagumi.inc (spoilers), Den Den Passion helped keep Dempagumi.inc as one of my favorite idol groups out there. It’s not one of their strangest offerings, but it’s a worthy addition to the dempagumi discography. Who else has spontaneously started crying during an idol song? Because uh, that’s the first thing I did when I listened to Shiritsu Ebisu Chuugaku’s latest, Te wo Tsunagou. Ebichu is another one of the Stardust idol groups a long with MomoClo and Team Syachihoko. However, for whatever reason, Ebichu hasn’t quite clicked with me in the same way as these other two groups. However, I can’t deny how great their music can be (especially since they work closely with Hyadain a lot), and Te wo Tsunagou is just incredible. Instead of taking the usual energetic route that Stardust group often does, Ebichu does a really great job with a sweet, heartfelt song (though they have done some of this before, to be fair). The song starts off on a great note with the strongest vocalist in the group, Kashiwagi Hinata, singing a capella. She sounds really lovely, and is a really great start to the rest of this song. This song has a really great pace, helped out by the strong percussion in the background, but ultimately it’s just how earnest this song feels, both with the song, the vocals and the lyrics, that makes me really love it. This song isn’t quite as unique as the others on this list. It’s not even as unique as the other song on this single, Kindan no Karma, which is a much darker song. However, this song does pretty much everything right in being a really lovely, heartwarming song. As groups search for the next gimmick or style, this proves that what you need more than anything is a good melody, charismatic performers, and a strong arrangement. I remember distinctly the first time I heard this song. This had been a very long awaited song for Babymetal fans, so I was very excited. I was doing a project for a class (auditioning people to be in a project I was managing), but I had to listen to this as soon as I saw the PV had been posted. It was completely worth the anticipation. I sat alone in the room I was holding auditions in, mouth open, completely in awe of what I was listening to. I’d argue that Ijime Dame Zettai is the most metal of the Babymetal songs; you could potentially make a good case for the song Catch Me if You Can, but I’d argue the chorus gets too pop-y. IDZ, on the other hand, is pure metal, without the pop influence of other Babymetal songs, and it’s just good. One of the things that I love about IDZ are the slower sections; the piano-heavy section at the beginning, the slower section right at the beginning of the second verse, and the section before the big guitar solos. These do a really great job of pumping up the more intense sections, and making them exciting. All the guitar solos in this are incredible, as are the rest of the instruments; they do a really excellent job of pumping you up, and having a lot of energy. Suzuka’s vocals, while they’ve since improved again for Megitsune, made a really big leap from Headbanger to Ijime Dame Zettai. She sounds amazing here, her strong voice really fitting the great instrumental. Yui and Moa take a bit of a backseat from their already limited roles, but their presence mainly serves to remind you that yes, this is actually Babymetal you’re listening to. This isn’t metal-pop. I’d go so far as to say this is just metal, with pop performers. Suzuka sounds great, the instruments sound great, and everything about this track is phenomenal. Figuring out which two Team Syachihoko songs made this list was a bit of a difficult decision, because the whole single is pretty amazing, but it came down to Maji Kansha and Shuto Iten Keikaku. Let’s just get it out of the way: I’m biased towards Team Syachihoko. They’ve quickly become my idol group of choice, and I can’t think of a song they’ve done that I haven’t liked. However, this is because they have really high quality music, and this has continued with their national major debut single. This song was cowritten by Japanese hip hop artist SEAMO, and that’s pretty obvious. Even if there’s only one actual rap section (done wonderfully by Haruna), you can hear the hip hop influence throughout the whole song, which features a lot of spoken parts and a whole lot of attitude. According to wikipedia, one of SEAMO’s influences was MC Hammer, and I do get a bit of an 80s/90s hip hop vibe from this. This is honestly not a song I expected to hear from Team Syachihoko, but they really put a lot of effort into this song, with Chiyuri rolling her R’s and Nao putting in a lot of energy. All the girls really fit in this well. The lyrics are one of the most fun parts of the song, featuring Syachi’s plea to make Nagoya the capitol of Japan. It’s a silly topic and the lyrics are silly, but Syachihoko actually sells it pretty well. There’s a pretty good translation on the PV on the official Syachihoko channel, so I recommend you check that out. Otherwise, all the parts come together for a really fun and entertaining song. W.W.D stands for “worldwide Dempagumi,” a very fitting title given Dempagumi.inc’s recent announcement of performing at Japan Expo USA this August. W.W.D is weird. And this is coming from someone who loves weird music. Can you guess who wrote this song? If you guessed Hyadain, yep you’re right. However, while some people may criticize W.W.D for being kind of disjointed, in actuality it really fits the group. The song centers around the group of six girls, their individual stories and how they all came together to become one group. Therefore, the fact that the song has so many different styles in it actually makes a lot of sense, because it’s reinforcing this narrative found in the lyrics. I’m really glad they decided to work with Hyadain to write this deeply personal song for Dempagumi.inc; Hyadain is the master of writing very eccentric songs that somehow work, and W.W.D is one of those songs. Because this song is based off the histories of the girls in dempagumi.inc, they perform it really well. The girls all have an interest in Akihabara culture, and as such really play up the shouted parts well. Groups in the past have called themselves ‘otaku groups,’ but you really believe it with dempagumi.inc. This song is so weird, but Dempagumi.inc manages to sell the slow/serious section as well as the energetic sections. They do well with a song that I imagine would be difficult for most idol singers to get. If you don’t like your music weird, I doubt you’ll like W.W.D.. In fact, I have a feeling it’s the type of single that would be very polarizing. However, I really like Hyadain when he’s at his wackiest, which he is here. Combine that with the personal stories of dempagumi.inc, and you have a classic idol song on your hands. If you read my review of Momoiro Clover Z’s album 5th Dimension, you’ll already know how much I love this song, so I’ll keep this brief. Hai to Diamond is incredible. It’s not necessarily the most idol-y song out there, but it’s a really beautiful song featuring orchestral instruments, many different sounds, and some really nice performances from Momoiro Clover. It’s one of the most beautiful songs I’ve ever heard, written very well and arranged even better. It’s gorgeous, epic, and has been an instant favorite ever since I heard it. This is one of the most beautiful pop songs I’ve ever heard, and I know I’ll keep coming back to it again and again in the future. As some of the readers of Happy Disco may know, I loved Momoiro Clover Z’s first album to death. Battle & Romance still stands out to me as one of the greatest idol albums ever. However, I’ve found myself not quite as much into their music as I had been in the past, with Otome Sensou (which has since grown on me) and Saraba Itoshiki Kanashimitachi yo. So how will I like 5th Dimension, Momoiro Clover Z’s second album? I already covered this for my First Impressions series, so I won’t get too much into it. However, I will say that I do stand by what I said in the review, in that I really like it before it goes up tempo and I feel like the chorus, while good, is out of place. The opening of this song is so epic and is a really great album opener, but the chorus really falls flat for me and doesn’t quite have the same epic feel that the rest of the song does. If they had removed the chorus (and considered the “Open the gate, open your soul” lines the chorus), it would have tightened up the song and ultimately I think this would have been a lot more successful. However, I think this is also mainly a problem with the first chorus; the later choruses, where there’s a bit more of a drum beat and the choral vocals are layered on, it fits in a lot better. Regardless, I really do like the bits that are like the opening, as well as the “Open the gate…” lines. I know I sound critical, but I just think that while this has a lot of potential it doesn’t quite live up to all it could be. However, Neo Stargate is ambitious and has a lot of really great elements to it, so it’s definitely an interesting opening, at least. Of note, that on the disc (not in the PV) this starts off with about two minutes of the ‘O Fortuna’ from the Carmina Burana. It’s definitely epic, but at this point for me it’s SO overplayed that all it serves to do is make me giggle. It feels a bit lazy, because it’s such a shorthand for epicness right now that it kind of falls flat for me. Ah well, the song itself is decent. After Neo Stargate this is a bit of a surprise; while flawed, Neo Stargate was a pretty epic opening. This is an uptempo, happy sounding rock/pop song. In fact, the opening of this song most reminds me of Pinky Jones B-Side Kimi to Sekai. Which is definitely not a bad thing. However, the rest of the song really doesn’t follow Kimi to Sekai. While this song would be a pretty ordinary rock-inspired pop song, Kasou Dystopia really stands out as the song goes on, with multiple vocal parts playing off each other. While most idol songs have the main melody covered by vocals and maybe a harmony part, there’s a really unique use of multiple vocal parts here. It sounds really nice and refreshing. The one section of this song that really stands out is the bridge before the last chorus. The interplay of all the voices, with solo parts and ‘la la la’ in the back is gorgeous. Add the instrumentals building up to the last chorus, which itself is really great. After a couple of listens I’ve found that this is a really nice song. I have no idea if anyone will really like it as much as I do, and certain parts aren’t quite as good, but man that bridge as a section alone is one of the best things I’ve heard recently. How much more do I have to say about Mugen no Ai? It was my 8th favorite song of 2012, which sounds low but it had some tough competition. Honestly, Mugen no Ai is a pretty perfect song, and I agree with the assessment that it’s Japan’s answer to Bohemian Rhapsody. It’s perfectly epic with the vocals, the choir in the background and the electric guitar all working perfectly together. I know this song convinced some people to follow Momoiro Clover Z, and I don’t blame them because this song is pretty amazing; as close to perfect as you could reasonably get, in my opinion. Definitely fitting of the epic feel of Neo Stargate (on that note, why didn’t this come after Neo Stargate and then before Kasou Dystopia? This album’s starting to have a good overall feel, but some of the songs sound a bit odd in relation to one another). The fact that this isn’t the fifth song will never make sense to me. So far, the placements of each song really don’t feel like they make much sense, anyways, which is a bit of a shame. The album has a lot of things that feel cohesive, and the songs really seem that they fit together, but I don’t quite grasp the order. Anyways, MomoClo plus rap. It sounds like they’ve definitely improved upon their rap skills since their bit in Roudou Sanka, which is nice. They aren’t quite as good as, say, Rhymeberry, but they definitely do a good job here. While I’m not a big hip hop fan, it definitely reminds me of 80s/old school hip hop, which is nice because that’s definitely the kind I prefer. The chorus has a similar feel, with a little disco-esque influence. The chorus reminds me eerily of the Morning Musume song Inspiration, which is one of my favorite Momusu B-Sides. Not a bad thing, but I have to fight myself from singing the Inspiration lyrics when I listen to this. While the end is a bit slow, ultimately this is a really solid track. It feels a bit out of place, but I like it well enough. Speak of the devil, the original song with some rapping in it. While I don’t think I’ve written much about Roudou Sanka in the past, I can say it’s a favorite of mine. It’s just ultimately a really well crafted song dedicated to the hardworkers of Japan in the wake of the Earthquake in 2011. The entire song stands out, but the one thing that I really like is the instrumentation. Idol music needs more brass instruments! (and more woodwinds, for that matter). The rap section is also a favorite of mine, just because of how passionate MomoClo sounds while doing it. All in all, really excellent stuff. If you haven’t heard it by now, seriously where are your priorities. This is probably one of the songs that sounds least like idol music MomoClo has done. While they’ve had their eccentric songs in the past, most of them are rooted in idol music. This sounds like retro music, with a pseudo-Beach Boys feel (the ascending “ahs” leading up to the chorus, especially), that feels a lot like the music OK Go normally does. Which is excellent. I’m a big fan of a lot of indie/alternative groups in the US, and I like upbeat music with some folk influence. While I don’t actively follow OK Go, they fall into the kind of aesthetic I enjoy (alt rock). However, I haven’t really seen this come up yet with idol music, partially because I don’t know how big this is in Japan. This is a catchy, upbeat and fun song, and everything about the pacing, the arrangement and songwriting is pitch perfect to me. I really hope this influences idol groups to explore alternative rock and power pop, because I would enjoy hearing this more. …. I actually like Otome Sensou now. Now a lot of the things I raised when I first reviewed it still stand. There are plenty of issues with the pacing, the instrumental feels empty in places, and the choruses are kind of a letdown after a great build up. This all still stands. However, it’s grown on me and I’ve started appreciating it more. Because really, there are great elements in there. The slowest section is really beautiful and the initial section is energetic and fun. For me, the most frustrating thing about Otome Sensou is that I feel like, with a little work and tightening up, it could be one of my all-time favorite idol songs. It’s so ambitious and has so many good elements, but it falls flat. Still, I know that for some people this is the pinnacle of MomoClo. And that’s fine. However, for me, it’s become almost synonymous with missed opportunities. The opening for this is beautiful. Absolutely gorgeous. I’m not a ballad fan, as some of you might know, but this seems like a ballad that I could get behind. It has a lot more power than MomoClo’s major ballad from Battle & Romance, Kimi no Ato, and I think this really fits the epic feel that MomoClo is trying for. I have to say, while I found Momoka’s voice to be generally overrated for the majority of MomoClo’s music, her voice is gorgeous here. Ballads really suit her voice, and it sounds fantastic. Kudos, Momoka. Nothing really lives up to the gorgeous opening 30 seconds, though. The rest of the song’s really quite nice; I love the use of piano near the beginning, especially. However, the intro really shines apart. I find myself preferring the song much more near the beginning; the rest of the song’s really good, but even beyond the intro the first verse is the best. Still, it does drag on a bit, and the fact nothing really lives up to the first part is kin of disappointing. Still, this is a really solid ballad with some fantastic sections. Like this a lot. NARASAKI, while not my personal favorite MomoClo composer (that’s, of course, the incomparable Hyadain), is a fan favorite composer. So really, this song has a lot to live up to. And I have to say, it’s probably my least favorite song on this album. It’s another song that I feel like has a lot of potential, and has sections that sound fantastic, but as a whole it doesn’t live up to the potential. Is it fair that this song doesn’t live up to the hype? Perhaps not. However, as a song it is kind of muddled. The chorus sounds really great, and the later bridge does as well. In fact, to me this is almost the exact opposite of how I listen to Neo Stargate. In Neo Stargate, I wish they would focus less on the pop elements and focus more on the epic, dark elements. However, here I think the darker/heavier elements are the weaker bits, while the pop-focused chorus/ending are really excellent. Ultimately, again, this song has elements I want to love, but it’s just weighed down by unnecessary elements and things that don’t really fit together. Sorry NARASAKI, this doesn’t cut it. This is by the guy who wrote Chai Maxx, and man it sounds like it in the chorus. Chai Maxx is one of the best MomoClo songs, so this isn’t bad, but it really is clear that this is the guy who was behind Chai Maxx. Otherwise, though this is a bit weird; the song sounds almost funk/soul inspired in a way, with some beach boys-y surf rock elements in there. Plus, this is the theme song for an act with dinosaurs and I can hear that. This is an interesting sounding song, that’s for sure. It’s a bit slow in parts, but it definitely picks up near the end, where a heavier beat really adds to the song. Ultimately it’s a bit weird, but that’s very Momoiro Clover. It’s not immediately the most catchy song and I can’t see myself listening to this too much on it’s own. However, it fits the album and definitely fits the album. The lyrics are also pretty interesting, because the phrases “memento mori” and “que sera sera” are featured prominently. Interesting stuff. Also, I might be biased, but Sasaki Ayaka’s solo section after the chorus is really amazing. Again, I might be just saying this as I’m a huge fan of hers, but I think people really underestimate her vocal ability. She might not be able to belt and sing ballads quite like Momoka, but the scatting/fast singing after the chorus here really stands out and sounds fantastic. A~rin owns this song. This one starts off kind of weird; what sounds like a heart beating fast and a train whistle! When I first heard this I didn’t quite know what to make of it! The song pretty quickly gets back to normal, though. The song itself sounds like pretty retro, 50s rock. It’s the type of music I don’t necessarily associate with idols, but sounds nice when they do. I always dig retro inspired idol songs, and this is no exception. Much like Carpe Diem, I can’t really see myself listening to this that much. This isn’t really a classic MomoClo song at all. However, it’s fun, I like the train whistles near the beginning and end, and the announcer is pretty fun, too. It’s energetic and nice, but not spectacular. By now if you’re a MomoClo fan you’ve probably heard this. When this first came out, I wasn’t really all that thrilled. Initial live performances were underwhelming, and I was still not quite feeling the direction MomoClo was going in. However, while this might not be up to MomoClo’s standards, this is still a good song, and definitely well construction. None of it overstays its welcome or feels like it’s dragging on too long. I love the verses, especially, with a bit of the harpsichord (that will become more prominent later) doing a very quiet countermelody. Hell, more idol music needs more harpsichord, calling it. The xylophone (or related instrument) sound that sometimes comes in is great, too. MomoClo, with all the instruments in this, Pinky Jones and then Nippon Egao Hyakkei (mostly shamisen there) needs to pioneer the use of more unusual instruments in idol music. I love the interplay between the dark and light within this song, though darkness dominates. The difference between the harpsichord-heavy sections and the guitar heavy sections is really good. While I don’t think I appreciated this song as much as I should have when it came out, I appreciate it now. It might not be quite as strong as some of the other MomoClo songs, but that’s because MomoClo sets itself a really REALLY high bar so when something falls even a little flat it’s really noticeable. This is a good song. Not the best, but definitely good. OK, let me get my bias out of the way. Maeyamada Kenichi, AKA Hyadain, is my favorite composer, not just in Japanese music, but in popular music in general. He’s up there for me with the other musicians of today I find to be genius, and there are only a couple of music producers in general today who I think beat him in terms of well-constructed, creative and downright good songwriting. That being said, this song is an utter work of genius and is a very good candidate for my favorite song of the year. Hyadain usually controls every aspect of the songs he writes; he usually writes the songs, arranges them, writes the lyrics, and often does vocal coaching. Here he only wrote the song. That being said, both Hyadain and the arranger need to be commended, because this song is one of my favorites in a while. While a lot of songs felt really long on here, interestingly enough this 7 minute closer doesn’t feel long. There are a lot of different parts about this songs, but Hyadain does what he does best and really made the transitions between parts seemless. The arranger deserves a lot of credit, too; the piano and strings, in particular sound really fantastic. While the rest of the album was trying to be one long work, there were sections where I wondered if that was actually the case. However, this definitely feels like the ending. It just makes me wish that Hyadain wrote an entire symphonic work for MomoClo for their album, and this could be the last thing. In my review of Neo Stargate, I criticized the use of O Fortuna for being a bit of a lazy shorthand for epicness. Which is true. However, Hai to Diamond succeeds because it’s genuinely incredibly epic, with both the song itself and the arrangement. Simply put, this song is utterly epic, beautiful, and well-written. It builds from a slower, pretty section that felt like it would be another simple ballad on the album, but builds gradually into being an epic piece. This is why I love Momoiro Clover, this is why I love Maeyamada Kenichi. The lyrics, from my lyrics, are very nice as well. My two favorite lines in the song are Ayaka’s “Tsubasa ga aru mitai” (Like I have wings) and Kanako’s “Hai no naka no diamond” (Diamonds in the middle of ashes). I realize I’m gushing, but this song is incredible, and one of my favorites. This makes the album for me. However, all the girls sound great, and this is definitely not a bad album. There are great tracks and it does fit together pretty well. Don’t take my criticism to mean I don’t like it; I’ve honestly never liked Otome Sensou and Saraba better than I do now. This is a good album, great even, but far from perfect. This album’s also really divisive for me. On the one hand, certain tracks fell flat and disappointed me. On the other hand, other tracks are amazing and really fantastic. It’s a mixed bag, rather than the consistent greatness of Battle & Romance. Still, this is a lot more ambitious than B&R was, and only serves to reason that it would have (IMO) higher highs and lower lows. If you like the current direction MomoClo is going, you should like this album. If you don’t like current MomoClo, this MIGHT make you give them a second listen, but it will probably not be to your tastes. Ultimately, I like the album, and definitely recommend you listen to all of it, even the songs I was less fond of, so you can give your own opinion.